Have you suffered serious injury to your head and brain because of an accident? A serious injury to the head and brain are often severe and can have a lasting impact on a victim’s quality of life, including work, education and family life. You can speak to one of our friendly expert serious injury solicitors in respect of head & brain injuries on 01925 937070 for a free, no obligation chat. If you have been involved in an accident which wasn’t your fault and resulted in a serious injury to the head or brain, you could be entitled to take legal action and claim the compensation you deserve for the traumatic pain and suffering you are going through. DSM Legal Solicitors has a team of specialist serious injury solicitors who are dedicated to helping victims of a severe brain or head injury. We have the experience and knowledge to provide victims the legal support they need to get their life back on track. Start your claim today by calling 01925 937070. Alternatively you can complete our Personal Injury Enquiry Form by clicking here. These physical and psychological symptoms associated with a head collision can be extremely difficult to adjust to putting a significant strain on day to day living. Why choose DSM Legal Solicitors for your serious injury claim? We are experts at what we do. Only a fully-qualified solicitor with relevant experience will handle your claim ensuring the best possible outcome for you. We will fight to get you the compensation you deserve. We offer no win, no fee – meaning a risk-free guarantee. Our office in Warrington, Cheshire is minutes away from Junction 8 of the M62 and has free on-site car parking together with disabled access, including a lift. Please email info@dsmlegal.co.uk to arrange an appointment. We can visit you at home or hospital if you are too unwell to travel. We can arrange evening or weekend consultations if you are unavailable during normal office hours. 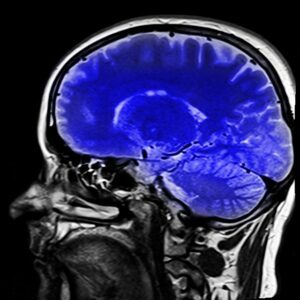 We have many years’ experience in handling head and brain injury compensation claims, and have built an impressive reputation from many successful legal cases. Not only can we help you to recover the compensation you deserve, we can help you to recover lost earnings and compensation for damaged items such as clothing or glasses. We also have access to rehabilitation experts, for example it may be recommended that you undergo physiotherapy to ensure a full recovery and we can arrange this for you. You may be suffering financial difficulties as a result of being unable to work due to your serious injury, we can put you in touch with an independent financial expert for advice. Our solicitors offer a free, no obligation initial consultation to discuss the circumstances of your claim and tell you if we believe you could pursue a serious injury claim. Unlike other legal organisations, we will not pass you around – your case will be handled by one specialist solicitor who will be on hand to offer expert advice every step of the way. We are local solicitors in Warrington, Cheshire and have clients across England and Wales. Speak to a solicitor for free and in confidence on 01925 937070 or complete our Head and Brain Injuries Claims Enquiry Form by clicking here. We can assist with personal injury (accident claims), serious injury including fatality claims, road traffic accidents, medical negligence claims, making a will, oaths, affidavits and statutory declarations, lasting powers of attorney, accidents at work, employment law claims, settlement agreements, criminal injury compensation claims and professional negligence claims. If you, or a loved one has suffered a serious brain or head injury as a result of the negligence of a third party, please give our team a call and we will be happy to discuss your head & brain injuries claim today. If you’re involved in a serious injury following a criminal attack and you are looking to make a claim for compensation you will be required to provide a certain amount of information about your ordeal in order to process your claim.